Why do we love these shoes? I think because of their functionality, as they are guaranteed to serve you from fall to summer. Plus, they come in tons of designs and looks, starting from patent, brown, black to pointed-toe, embellished with buckles and studs. Personally, I am so in love with their cut-out effect. Usually, this cut-out look is concentrated around the ankle area. This style was made especially to showcase the cut-out parts and not to hide them. 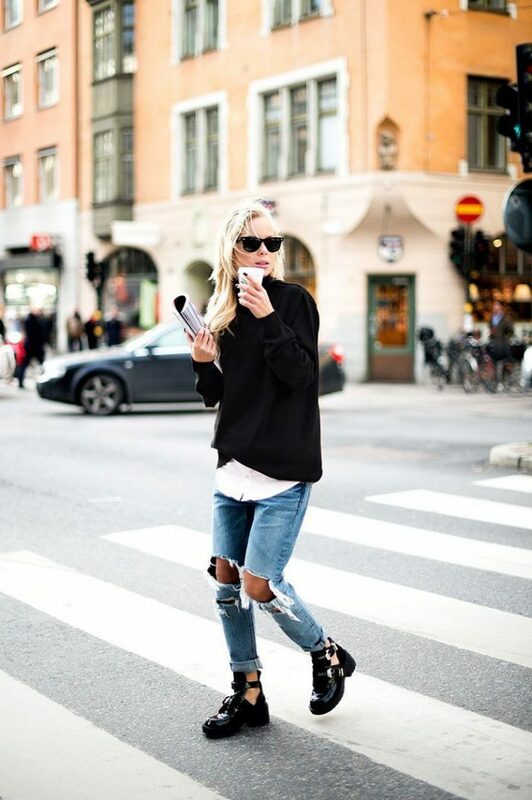 That’s why this footwear works well with cuffed boyfriends, cropped skinnies, and ankle-length straight jeans. If it’s hot outside, then you might like to try them on with denim shorts, skirts, and dresses. These shoes look fresh, new, modern and interesting. You can wear them in warm autumn and spring, as well as during very mild winters and cool summers. 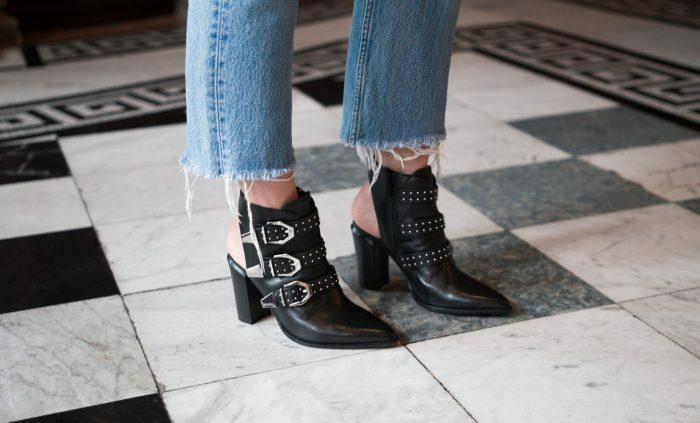 What do you think of cut-out booties? Do you like them? How would you wear them in real life let me know your thoughts in the comments below?